Check out my latest finds on the web. They’re guaranteed to make you smile. Photographer Lynn Terry has a fantastic portfolio of pet portraits. 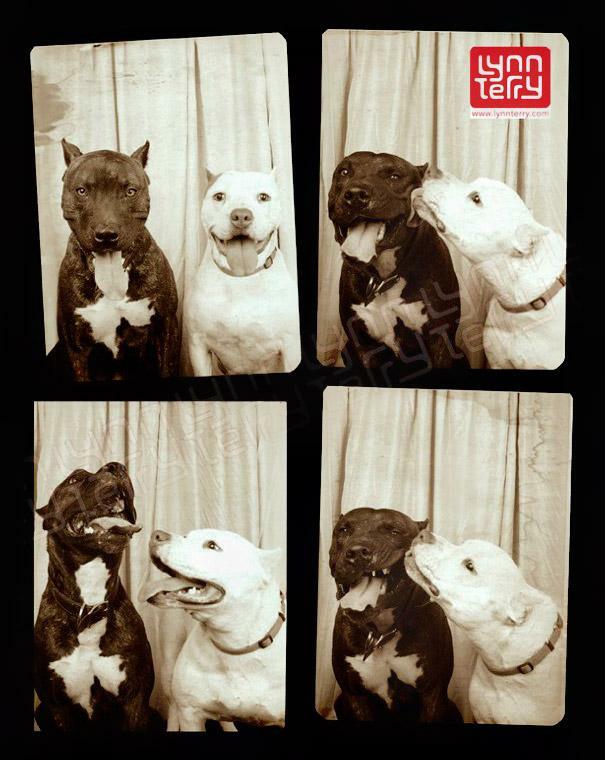 I’ve seen her “Pit Bulls in a Photo Booth” work on a few sites recently. You think your dog is bad? It doesn’t get much worse (or more hilarious) than this story about a Oklahoma man’s two dogs that took his car for a little joyride this week. And, because I love all things BuzzFeed, check out this fun photo collection of upside down dogs. Number 4, 14, 42, and just completely made my day. Posted on February 27, 2014 by Shannon	This entry was posted in Web. Bookmark the permalink.